Richard Harding Davis (1864-1916) was an American journalist whose reporting on war, especially its affects on society, moved him into the upper echelon of writers in his country. Davis was born in Pennsylvania, surrounded by literature. His father was a newspaper editor, and Richard himself in the late 1800s entered actively upon the newspaper career that was to make him the most widely known reporter of his generation. 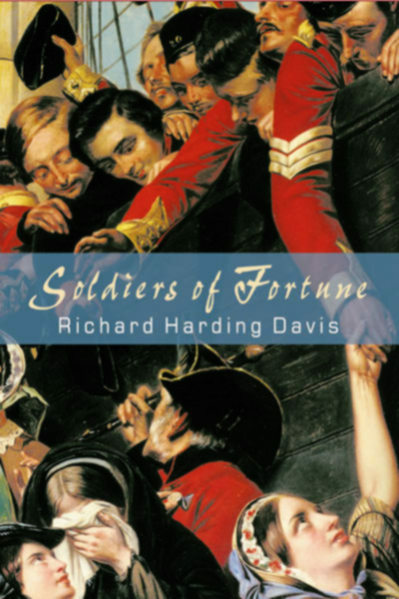 Davis was also interested in using his knowledge of human nature to explore the pressing social issues of his time in a fictional or dramatic format. He produced no less than seven popular novels, some of them among the best sellers of their period: The Bar Sinister (1903); Vera the Medium (1908); Soldiers of Fortune (1897); The King's Jackal (1898); Captain Macklin (1902); The White Mice (1909). The last four covered international affairs. Davis was also a successful playwright, with three plays running simultaneously on Broadway at one time. It is fair to say, that Davis was always playing the journalist, but understood what the public wanted to read, and the issues they wanted addressed. His writing was always vivid, easily accessible, and dramatic, but without becoming enmeshed in the deeper and more complex aspects of human psychology.